Posted on July 2, 2018 in Latest Events, News, What's in Bloom? 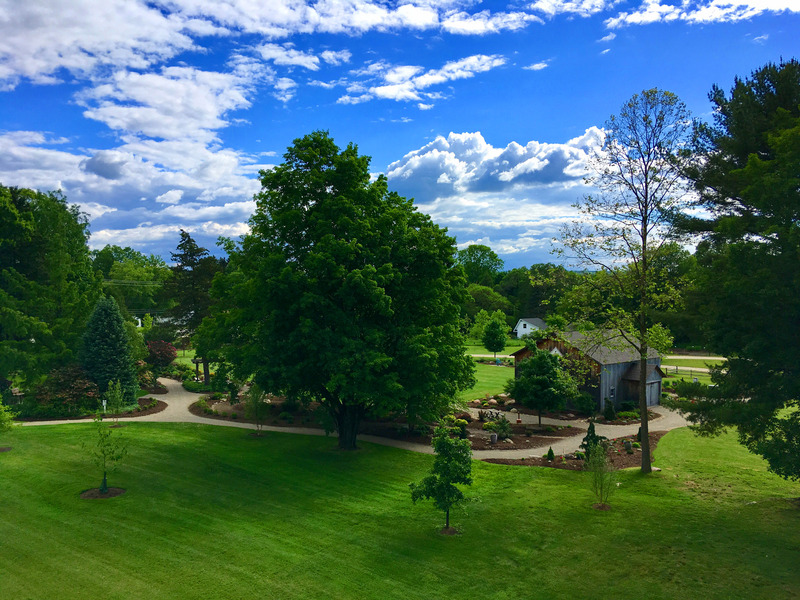 EDINBORO, Pa. – Goodell Gardens & Homestead in Edinboro has been awarded a Level I Accreditation by The ArbNet Arboretum Accreditation Program and The Morton Arboretum, for achieving particular standards of professional practices deemed important for arboreta and botanic gardens. The ArbNet Arboretum Accreditation Program is the only global initiative to officially recognize arboreta at various levels of development, capacity, and professionalism. 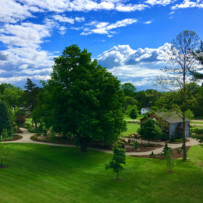 Goodell Gardens & Homestead is also now recognized as an accredited arboretum in the Morton Register of Arboreta, a database of the world’s arboreta and gardens dedicated to woody plants. Goodell Gardens & Homestead was established in 2001, and opened to the public in 2004. Specimen trees at Goodell Gardens include Franklinia, Dawn Redwood, and the Pennsylvania State Champion Paper Birch, just to name a few. Goodell Gardens is open to the public Wednesday – Sunday from 11 a.m. – 5 p.m. May 1- Oct. 31, and offers self-guided tours, guided tours for groups of 5 or more with appointment, field trips, classes, a farmers market, festivals and concerts. About Goodell Gardens & Homestead Goodell Gardens & Homestead is a non-profit organization whose purpose is to create a public garden and arboretum, and community greenspace on the 78-acre Goodell family farm within the borough of Edinboro, Pennsylvania by emulating the Goodell family passion for gardening and horticulture. Memberships help to financially support the Gardens, and start at just $30 per year. For more information, visit goodellgardens.org. About ArbNet ArbNet is an interactive, collaborative, international community of arboreta. ArbNet facilitates the sharing of knowledge, experience, and other resources to help arboreta meet their institutional goals and works to raise professional standards through the ArbNet Arboretum Accreditation Program. The accreditation program, sponsored and coordinated by The Morton Arboretum in Lisle, Illinois in cooperation with American Public Gardens Association and Botanic Gardens Conservation International, is the only global initiative to officially recognize arboreta based on a set of professional standards. The program offers four levels of accreditation, recognizing arboreta of various degrees of development, capacity and professionalism. Standards include planning, governance, public access, programming and tree science, planting and conservation. More information is available at www.arbnet.org.